An empty stomach is an empty brain. If your mind is foggy, you will not perform efficiently, thereby losing productivity. If you have an unhealthy diet, you are less likely to have a productive workday as compared to your colleagues with healthy eating habits. To attain a healthy diet, incorporate healthy snacks into your daily menus. Unhealthy snacks keep may taste good but can suddenly make you crash resulting in sluggishness. If you are the type of person who loves to binge on foods when working, opt for snacks that contain healthy fats and antioxidants rather than meals that will make you crash after some time. When you’re too busy, and your workplace does not offer a healthy variety of foods, then it is best to find a great snack delivery online. If you’re looking for easy to store and pack nuts, almonds are the answer. 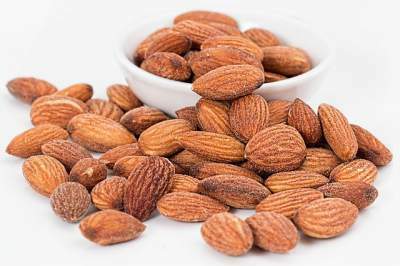 Almonds are high in calcium, fiber, protein, healthy fats. Calcium to help keep bones strong and healthy, fiber to keep you full, protein to curb your appetite, healthy fats to make you last throughout the day. These components will help keep you working and feeling full all day. 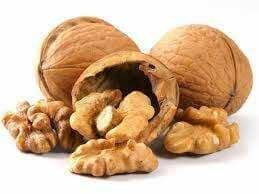 Walnuts are known for supporting a healthy heart, reducing blood pressure, improving brain function and cognition, and preventing the risk of developing type 2 diabetes. These nuts contain the highest omega-3 fatty acids, twice as many antioxidants as other nuts, vitamins B, C, and E, protein, and carbs, so you can just imagine all the health benefits! Satisfy those cravings for ice cream with this nut. Cashews are a great substitute for high-calorie junk foods since cashews are rich in heart-healthy fats. Moreover, cashews are rich in protein, antioxidants, and contain no cholesterol. 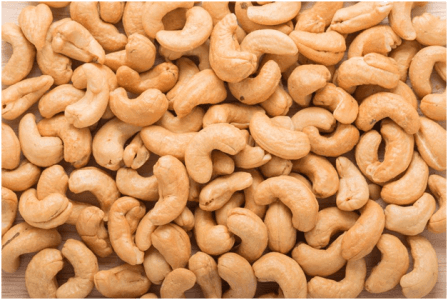 Cashews are helpful in aiding in your body’s energy production due to their magnesium and iron content which you can utilize during long working periods. 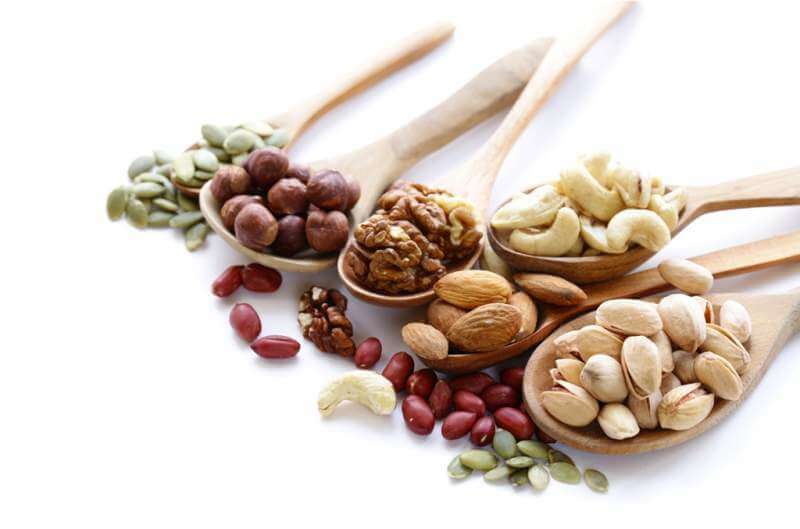 Nuts are healthy but you must be careful in eating too many since they are high in fat. Overeating nuts can elevate blood sugar and cause weight gain. Remember to eat in moderation and eat them raw for best results. It is also recommended to soak them first to eliminate phytic acid that promotes mineral deficiencies. If you are working full-time and you do not have the time to hit the gym to maintain your figure, eat fruits as an alternative to the unhealthy snacks you usually buy. 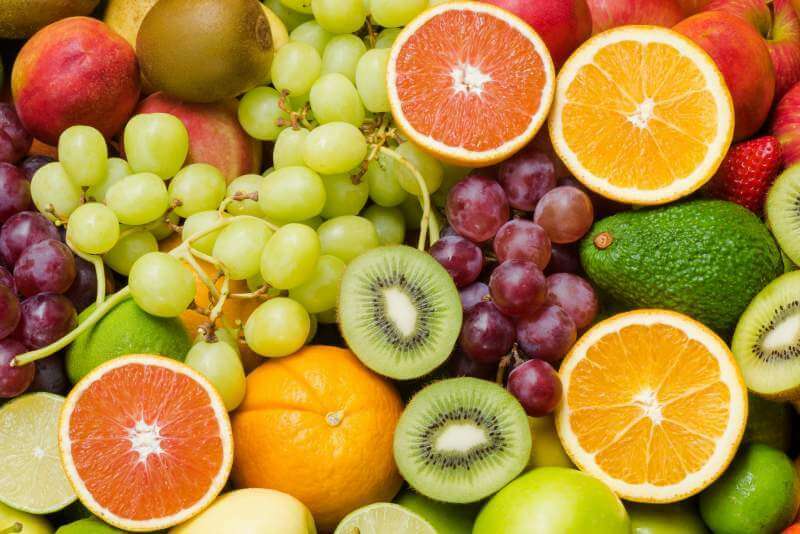 Fruits are high in niacin, vitamin E, vitamin A, vitamin C, folic acid, potassium and fiber and low in sodium, calories, and fat. Also, fruits do not have cholesterol thereby they can lower your risk of heart disease and help you maintain a healthy blood pressure. Moreover, fruits that are high in fiber help you feel full with fewer calories. If you are on the verge of depression due to unmet goals in your current job, consider eating avocados as your daily snack to prevent falling into despair. 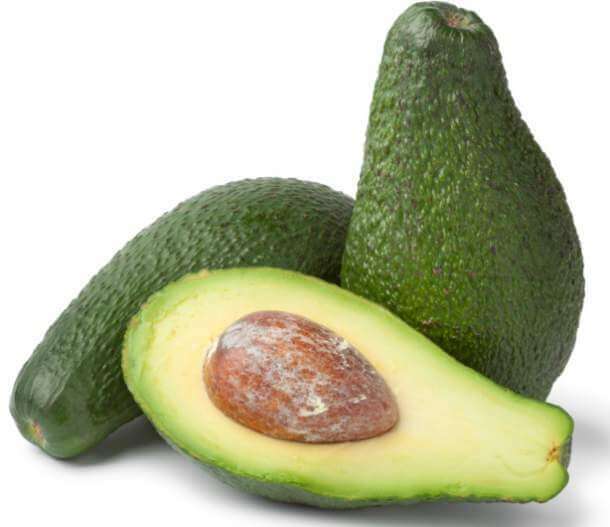 Avocados are high in folate that prevents the build-up of homocysteine. Homocysteine causes the delivery of nutrients in the brain to be impaired, which has been associated with depression. Depression will undoubtedly impact your productivity so having avo on toast as a snack can keep you feleing full and ready to work! 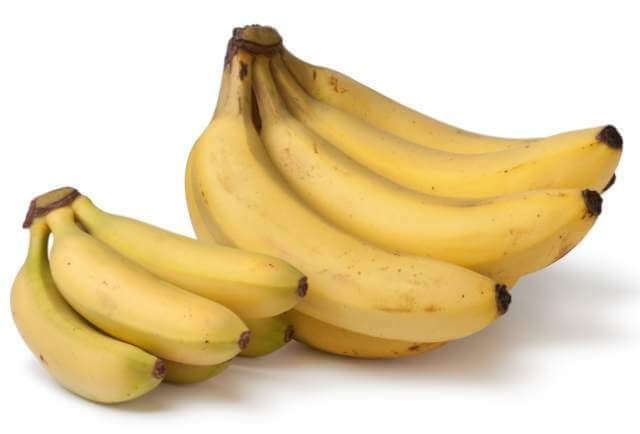 Bananas can keep you from making a lot of trips to your pantry. They are full of carbohydrates that can make you feel full for an extended period thereby keeping you in your seat. They are easy to eat and help you to focus and to be more productive because they have the right amount of glucose you need to last the day. Citrus fruits like oranges and grapefruits create a sweet smile. 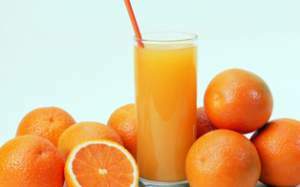 Since they are rich in Vitamin C, they keep your teeth in top condition as well as your hair, skin, bones, and muscles. If eating is your way to release any kinds of emotion like stress, happiness, or excitement, choose small citrus fruits like clementines or mandarins for they are smaller as compared to grapefruits or oranges and only have around 35 calories each. You can eat an entire basket of clementines without being worried about your calorie intake! If you want to enjoy a snack without chewing anything, have a smoothie. Fruit-filled smoothies garnished with some nuts are the best and yet the most natural snack to binge. Mixing the fruits mentioned earlier with some nuts or seeds will create an energizing meal to help keep you full and focused at work. 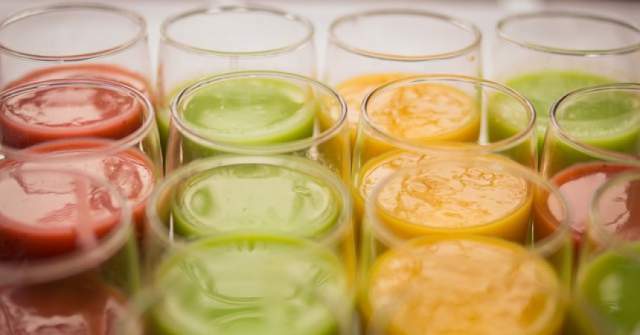 Smoothies are not “crash and burn” snacks that make you too tired to perform your job. Instead, they will help keep you working at top speed without crashing. Besides, if you have a coffee or soda habit, replace your unhealthy drinks with smoothies or fresh fruit juices to keep the body from experiencing an unwanted sugar crash. Getting through the workday can be difficult sometimes. It’s hard to stay focused and in a productive state when you’ve got food on your mind. Bringing a healthy snack to work is a tasty way to stay on task and get jobs done. Try bringing some fresh fruit or nuts with you to work. You’ll feel full througout the day and your boss will be impressed with your productivity!